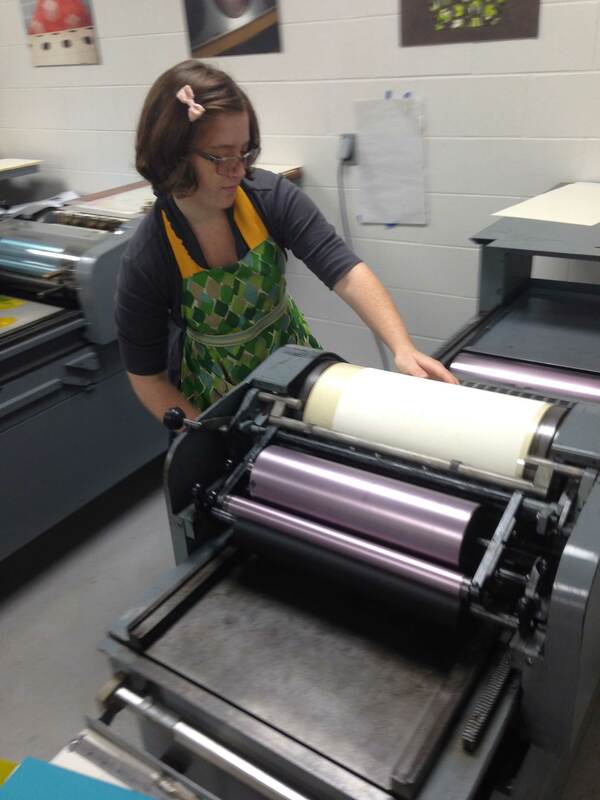 Working on the Vandercook press during the Visiting Artist Week! I am interning at FAR for SCAP. Small Craft Advisory Press is a printmaking and bookbinding press that runs through the College of Visual Arts, Theatre and Dance at FSU. At the internship, I assist in binding professional artist book editions as well as printing on the Vandercook presses. While working on the artist book edition “Lining,” and Judy Rushin’s experimental color book edition, I received formal training on the laser cutter. The covers of “Lining” contain vector and raster cuts so I was able to learn how to cut both. I hope to use this skill with future projects of mine. I also learned that there is more to the laser cutter than just cutting the wood covers: post-cut processes such as wiping off soot, sanding down the wood, and staining also exist. With the Vandercook letter presses, I have learned how to clean off the ink from the rollers, oil each press, and general maintenance. In the Spring semester, there is an artist book class offered at FSU that uses the new Vandercooks on campus. I hope that the experience gained from this internship will allow me to be ahead of the class and not be overwhelmed with the giant machines. Paper making! For a future workshop that Allison Milham is hosting, another intern and I were her guinea pigs. She had us use the laser cutter and design lamps out of wood. Then, we made abaca pulp and learned how to make handmade paper. We experimented with the paper and double couched substances into the paper like string, hair, bunny fur, and dry paper cutouts. This was a fantastic experience! 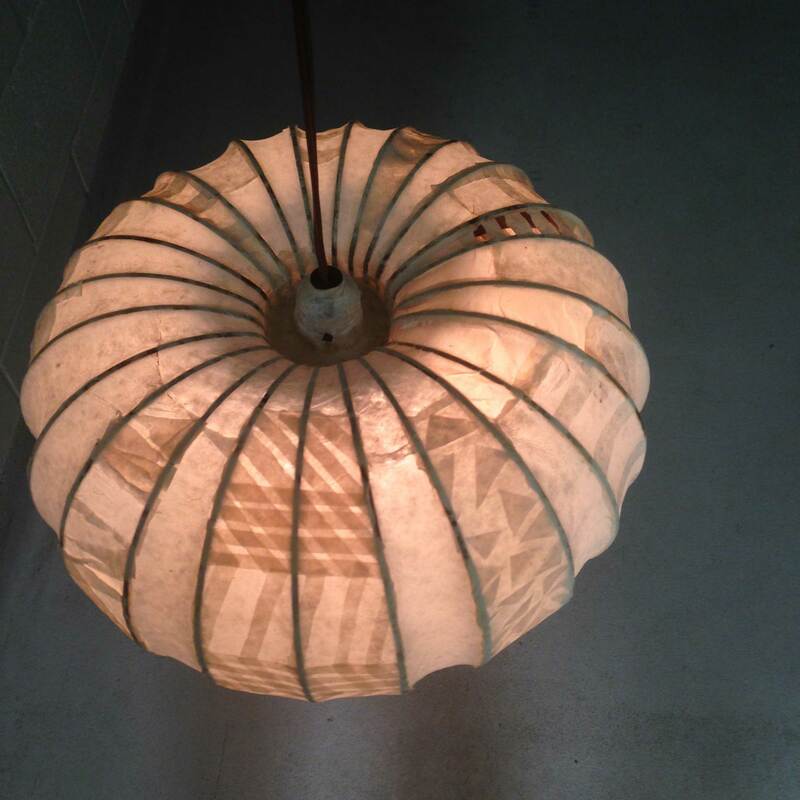 After experimenting with the paper and wrapping it around the wooden lamp structure, I learned that there are countless possibilities and opportunities for papermaking. Because of this aspect of the internship, I am more curious than ever about various textures and muter palates. I would definitely recommend this internship to fellow students! Some of the work is mundane but that’s an inevitable aspect of bookmaking! As long as you have a positive mindset and attitude, setting and organizing type is even enjoyable!